How do I add directions for my guests? 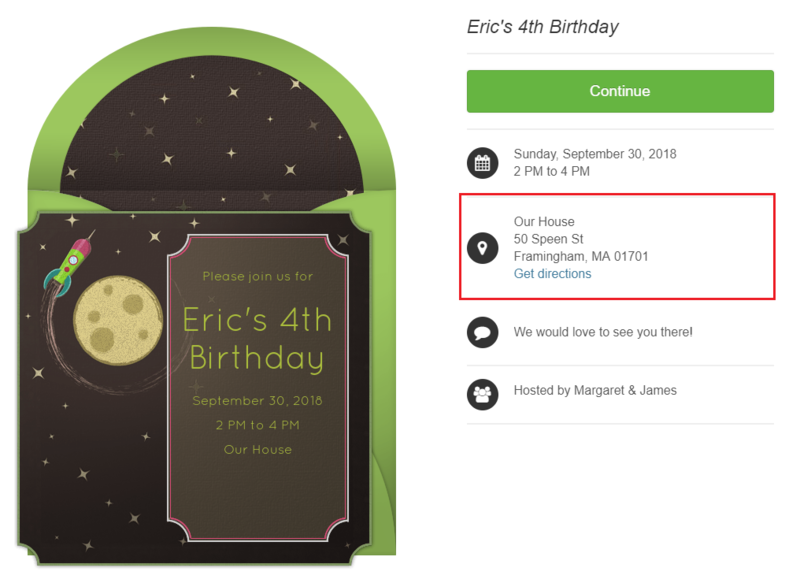 Want to include directions to your event? Punchbowl will automatically generate directions for you as long as you enter the Address, City, State, and Zip Code of your event. You can find these four fields in the Design section of the invitation. Once these fields have been filled out, guests will find a Get Directions link to the right of the invitation after opening. They can click this link to see turn-by-turn navigation through Google Maps.